Fig. 3. Functional enrichment analysis of positively selected orthologs. Yellow bar is accelerated selected genes, blue bar is the Arabidopsis thaliana reference genome genes. 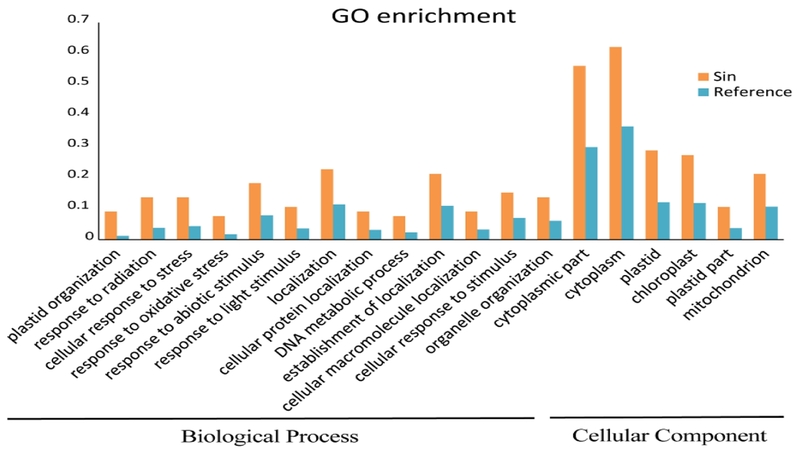 GO enrichment analyses were performed using AgriGO () with Arabidopsis thaliana as the background species.